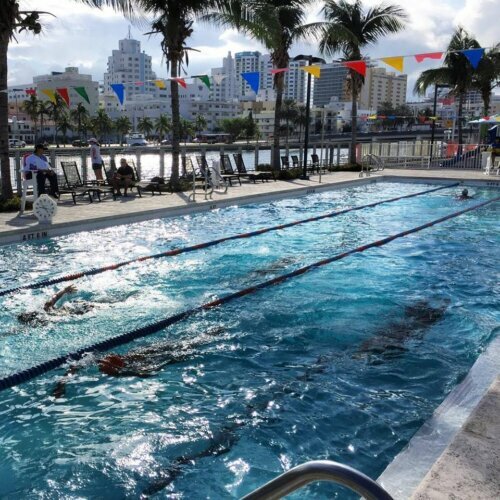 Home/Clinics/Aquanex Analysis Clinic for PAQ swimmers in Boca Raton, FL on Apr 20 – FULL! This half-day clinic is directed at swimmers who want to make a big improvement in a short amount of time. The clinic format allows for a comprehensive presentation of optimal technique. Each swimmer is analyzed with Aquanex on two strokes of his/her choice. This clinic will provide swimmers with a great deal of individual feedback and a complete analysis. Participant fee includes Aquanex testing and analysis of two strokes of swimmer’s choice; a playback version of the Aquanex software and swimmer’s individual files. The recommended minimum age for participation is 10. The fee is $99.